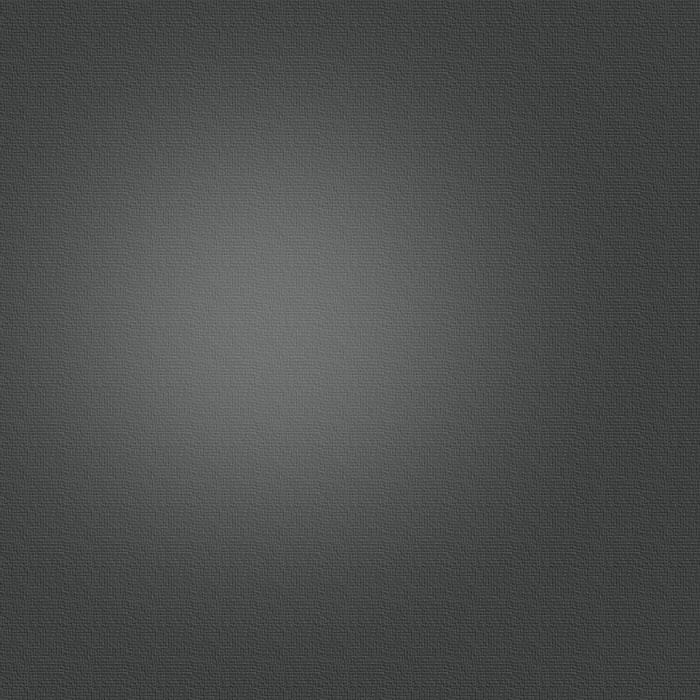 Christopher Carrington grew up in Caracas, Venezuela and New York City. The richness of these diverse cultures is fused into his musical character and training along with the influence of his parents, both professional musicians (cellist and opera singer). The pop music explosion of the sixties provided a perfect compliment for a devotion to the guitar. 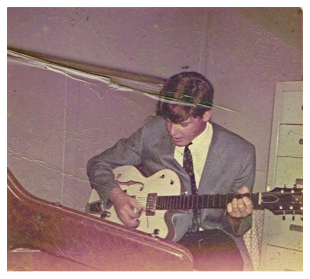 In the early 60s, Chris studied violin, piano and the Venezuelan "quatro" (a small four course guitar), then migrated to the guitar with the music of the Beatles, Stones, Doors, Hendrix, The Who etc.... 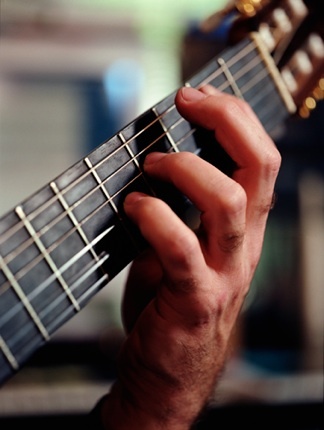 Upon entering college, Chris decided to "get serious" with the study of classical guitar, becoming a classical guitar major, and receiving both a Bachelors and Masters Degree in Guitar Performance. His teachers include: Oscar Ghiglia, Nelson Amos, Aaron Shearer, Manuel Barrueco, Andres Segovia, Jose Tomas, and Robert Guthrie. Along with performing and teaching, Chris is also an active luthier (guitar builder) hand-building 10-20 instruments a year. 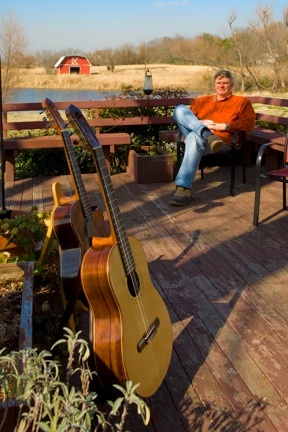 His specialty: crafting high end concert classical guitars, and electro-acoustic-and MIDI interfacing. He performs on his own guitars exclusively, and builds to spec for professionals, collectors, and serious students. ---one of the most exciting guitar players to listen to in the Dallas/Fort Worth area. 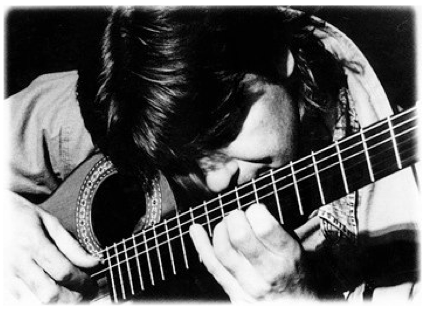 Enric Madriguerra, Guitar Dept. Chairman, Eastfield Coll. --he constantly displays a level of talent and innate musicality far beyond the average. He is a brilliant guitarist whose level of natural gift places him among the few most talented I have ever worked with. 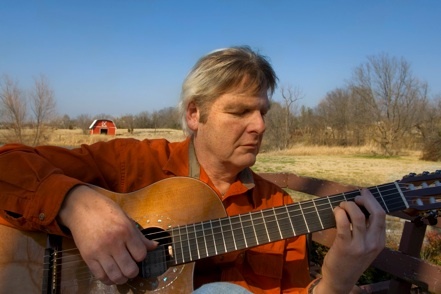 Chris is a marvellously versatile performer in various areas of popular music. 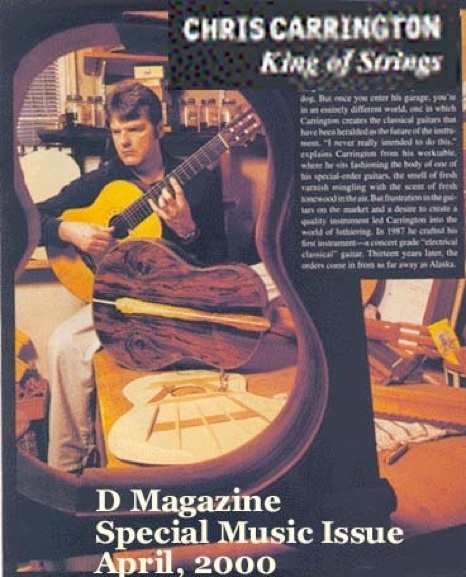 --Mr. Carrington has always impressed me with his versatility to play not only the classical guitar impeccably, but also to cross over to pop styles of playing. This is why I hired him to be the Ovation/Takamine product specialist and Clinician. David Bergstrom, Mgr. 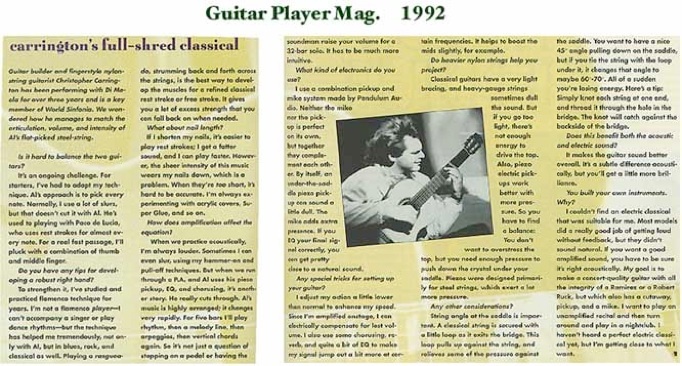 Fretted products, Kaman Co., Yamaha Corp.
--an excellent classical guitarist also proficient in many other styles, including jazz, rock, flamenco and folk music. His innate musicality comes through in his playing of all styles of music. Cynthia Folio, Professor of Flute, Music Theory, Temple U. 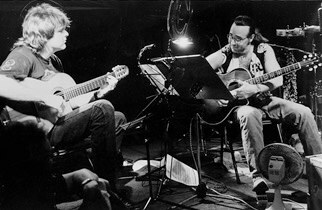 --I hired Chris to play guitar in the orchestra for Man of la Mancha when I was conductor. His versatility on the instrument was nothing short of dazzling. John Stewart, Chairman, Humanities Div., Eastfield Coll. --I just wanted to thank you again for playing at KERA's U.S.-Mexican War preview screening and reception. The event was a huge success and your music created the perfect ambiance! Several people commented that evening on how wonderful the music was. Your talents truly added to the evening.